Boys black & bronze two tone satin bow tie with adjustable strap, perfect for formal occasions. 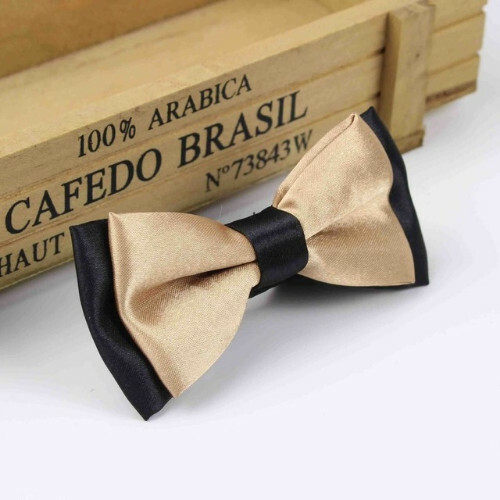 Add a dash of style to your child's formal outfit with this black & bronze dickie bow tie. Featuring a high shine satin, adjustable strap and is pre-tied to guarantee a perfect knot. These children's bow ties have an adjustable matching neckband with hook so you can simply adjust to suit any age approximately 3-14 years.